An adorable clematis fell down from a wilting summer bouquet and landed on one of my piles of books. 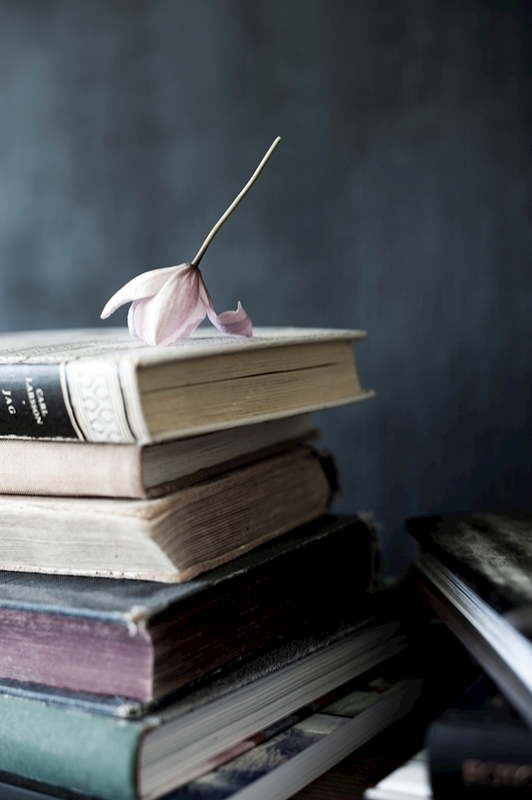 A beautiful poster of a pink clematis flower resting on a rustic pile of vintage books. A photo that has a delicate and retro feel to it and is a beautiful piece of art. Perfect on it's own or as a part of a gallery wall.